X-Plus King Ghidorah Confirmed for December! Vinyl Wars! New Gigabrain Colorways! It’s a Collector’s Update! – SKREEONK! I dare say this is some of the best news I’ve ever woken up to! 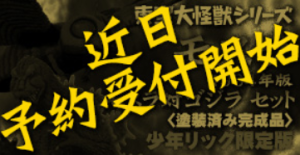 The Ric Boy site has updated with an official banner for their upcoming 25cm series King Ghidorah, confirming his release in December! They’ve also given us some amazing news in that a Ric Boy exclusive set of the Godzilla 64/Mothra 61 25cm figures will be released together in November. These are some incredible figures, the 25cm Mothra Imago is one of the crown jewels of my collection and is extremely hard to get ahold of – looks like this will be a great chance for more collectors to add these wonderful X-Plus’ to their shelves! This is the first we’ve heard of this, so more news on that as it becomes available. This is going to be the best Christmas EVER! Sorry, must breathe…. Deep breaths. What were we doing? Ah, yes. More vinyl goodness! In the ways of stylized vinyl (my true love) we have some brand new Super Festival (SuperFest) Gigabrain variants up for preorder through Japanese sellers. These images were sent my way via a friend in Japan. Nothing terribly new, but I am particularly digging the matte finish on the Gojis and the colorway throwback to the Bullmark Tin Gigan. These are great sculpts, if you don’t have them now is a good time to grab them. Ask around on Facebook if you are unfamiliar with how to track these down, should run you about $100 a piece once you pay for the figure, shipping from Japan, and then to you, etc. 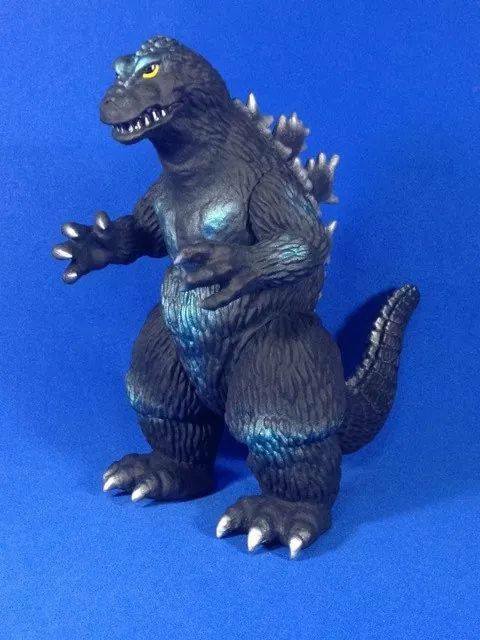 We’ve got some other neat stuff coming our way – The Year of Godzilla isn’t over yet! The ‘Vinyl Wars’ series of figures that Diamond is making available through local comic shop catalogs has proven a great way for newcomers to get ahold of re-released classic sculpts from Marmit, Marusan, Bear Model, CCP, and more. Many of these are being released late this year or early 2015. Check your local comic shop to order in person, or go to online retailers like EntertainmentEarth.com to preorder. Looks like more awesome pieces are on their way, too! 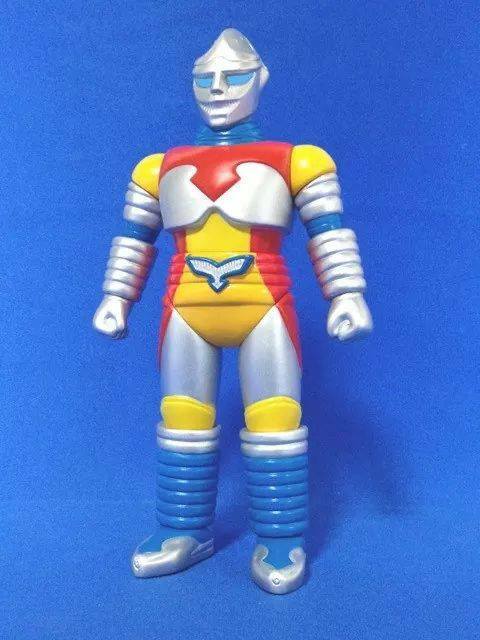 I’ve heard whispers of a Bullmark Jet Jaguar sculpt and many more to be released next year. More news on those as they become available. You KNOW you want that Marmit Megaton Hedorah! Or perhaps a Marusan G’55? 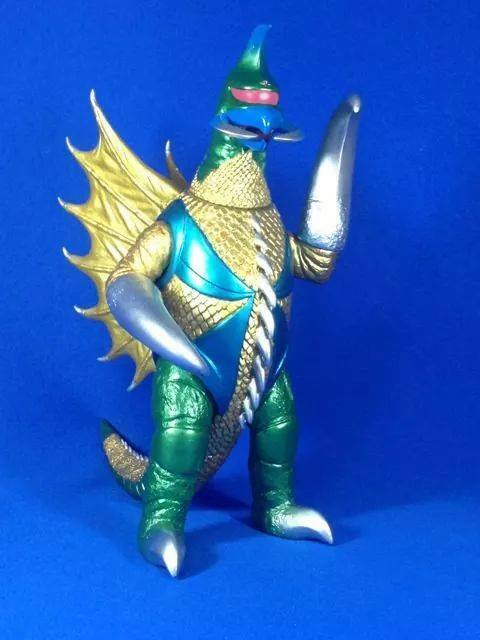 What about a Marmit Monster Heaven Godzilla 1964? 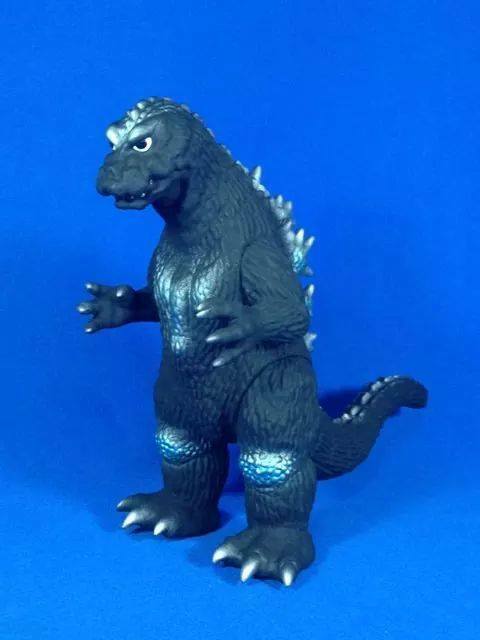 Bear Model KingGoji? CCP GMK Goji? 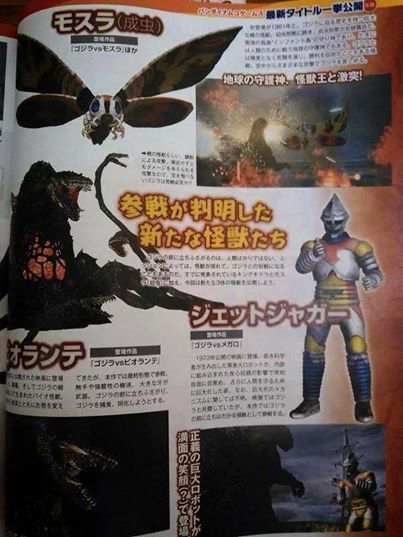 Monster Heaven Destoroyah!?!?! So much goodness!!! Our good friend Sean Linkenback has also secured a re-release of his fantastic resource book “The Art of Japanese Monsters“, which is now available as a paperback for less than $30 on Amazon! Amazing book at an amazing price, don’t miss out on these!These will be of a limited run, just like the original, and will go up in price as they disappear, as everything in this fandom does. I have the hardcover original and it is a superb asset to any collector’s library – Pages upon pages of full color posters, lobby cards, advertisements, some of which have never been seen by the Western world before the publication of this book. Click the new book cover photo to order one from Amazon now! Love that new cover. We will end this collector’s update by including some widespread news I’m sure you’ve all seen by now – But just in case, check out who else is going to be in the new Japanese Playstation Godzilla game! Makes you want to play now, doesn’t it?? We’ll have more for you soon, always do. Until then, true believers! 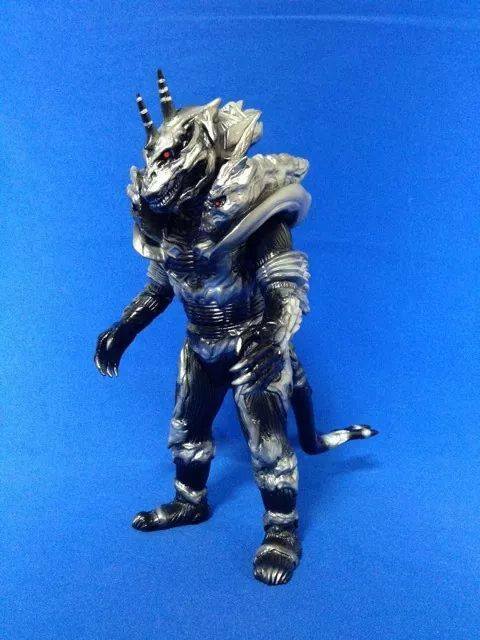 Posted on September 12, 2014 0 By Jon D. B.	Collector's Update! Posted in Collector's Update! Next Post Enter to Win an IMAX GODZILLA Poster! Previous Post G-TUBE! Great New Reviews and Fan Films for your Eyeballs!